Over the years Paul Ygartua always been drawn to Salvador Dali art. Not only as one of the most predominant 20th century artists but also by his hometown proximity to Cadaqués where Paul paints and is inspired a few weeks every year. 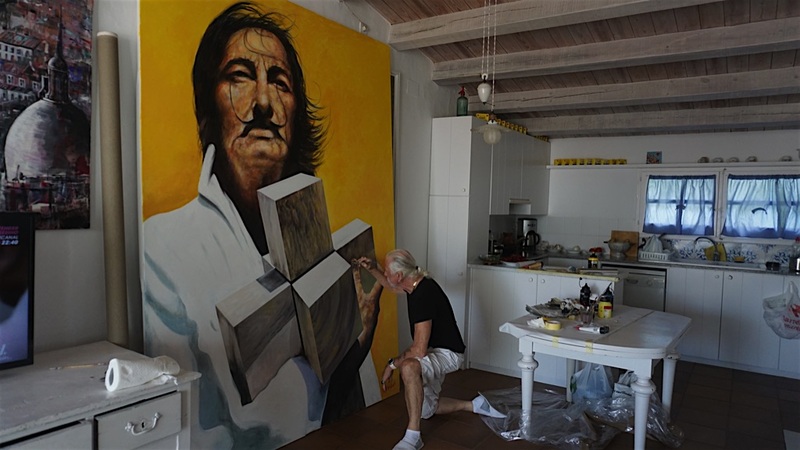 The Cross – 2 x 3 meters, acrylic on canvas painting Salvador Dali portrait. Paul has always been fascinated by Dali’s surrealist portrayal of the”Crucifixion” depicting Christ on a 4D like Cross known as a “polyhedron net of a tesseract”. This is one of his best known paintings from the later periods of his career in 1954.